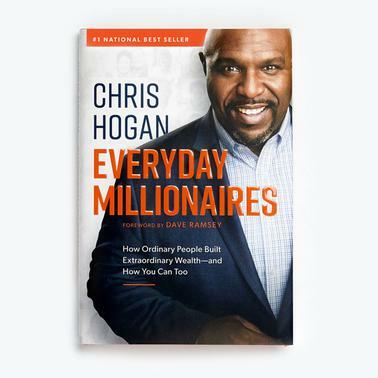 Our new book is based on the largest study EVER conducted on 10,000 U.S. millionaires—and the results will shock you! You’ll learn that building wealth has almost NOTHING to do with your income or your background! It doesn’t matter where you come from. It matters where you’re going. MYTH: Wealthy people get lucky and make risky investments. TRUTH: Consistency and discipline through investing in a company-sponsored 401(k) is how most millionaires made it. MYTH: Wealthy people inherited all their money. TRUTH: Trust fund babies are rare. Most millionaires are SELF-MADE. MYTH: Rich people have high-paying jobs. TRUTH: Many millionaires surveyed NEVER made six figures in a year. MYTH: Millionaires come from wealthy families. TRUTH: Most millionaires come from at or below middle-class income levels. MYTH: Wealthy people have high-level positions. TRUTH: Most millionaires have regular jobs. Doctors and athletes did NOT make the top three professions.